The first step to heat molding is to take your shoe and sock off and tape a small circle cut out of leather (or moleskin) to the problem area (see below). Now tape a circle a little smaller over the top of the initial larger circle you taped on (see below). 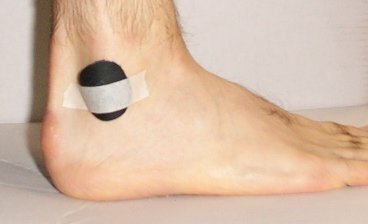 Now carefully put your sock back on and try not to disturb the circles you just taped on. Now use a heat gun (a blow drier simply isn't hot enough) to heat the area. Before heating the boot, feel how stiff it is (using a screwdriver handle) so that you'll know when it becomes pliable enough to work with. Now heat until the area becomes more pliable than before heating. Again use a screwdriver handle to push on the area to see if it is pliable because the area will be too hot to touch. 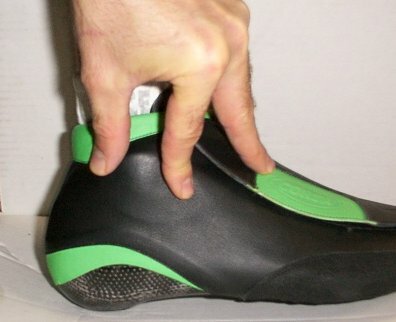 Once the boot is pliable then quickly but carefully put your foot into the boot so you don't move the taped circles on your foot and make room in the boot at the wrong point. Lace the boot up tight and start working with your fingers (you may need to use gloves here or a towel so you don't burn you hands) all around the leather circles that are on the inside of the boot. 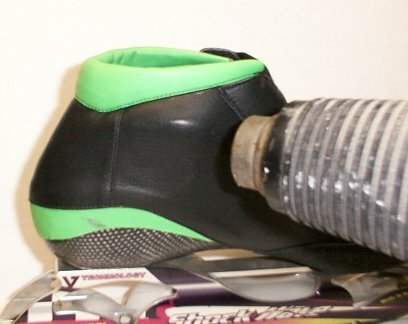 You can use a standard house fan to cool the boot to harden the warm carbon. It does take time for it to be cool enough to hold the mold so don't be in a hurry to pull your foot out. 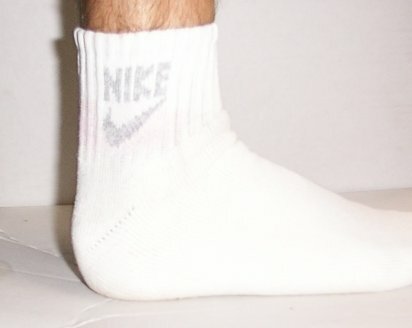 You can use no circles on your foot or 1 or 2 or 3 circles on your foot (on top of each other). It depends on how tender the area is. You may want to start with no circles and if it still hurts after that, use 1 circle and heat and mold again and then if that doesn't do it try 2 circles and then 3 . Or you can just try 2 right away rather than to spend the time trying 0 and 1 first.